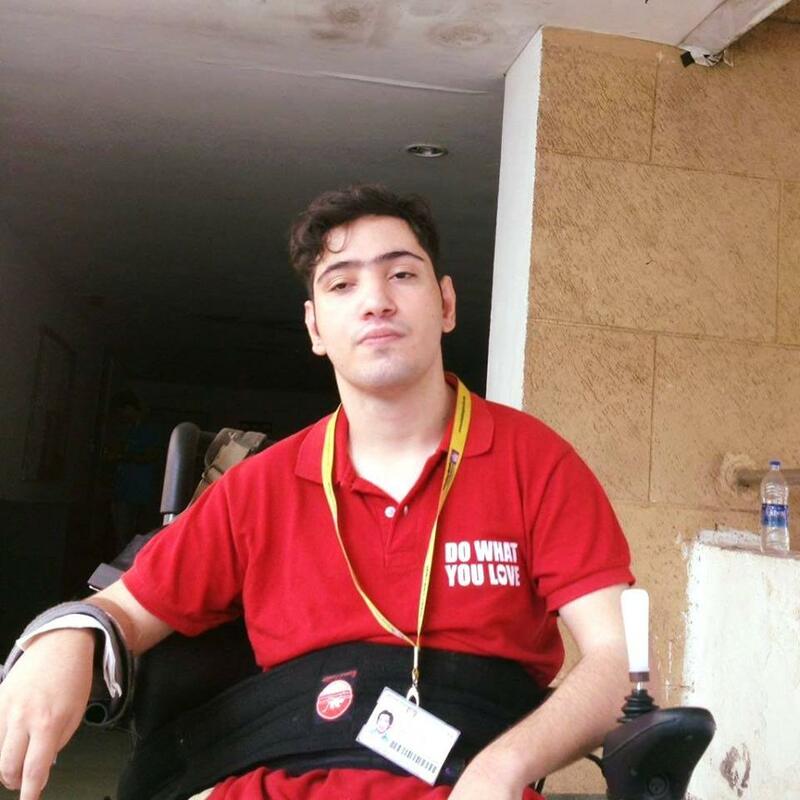 Qismat Bukhari – a former differently abled.student of DPS Srinagar has crossed a barrier that appears surreal and astounds by the magnitude of the achievement. He has made it to the most prestigious scholarship, the Amitabh Bachan Media Scholarship for Excellence in Media for the year 2017 at the legendary film school –Whistling Woods international in Mumbai. His arduous journey from a child with special needs to an acclaimed student of film making is a tale that is the stuff that dreams are made on. Even as a little child, he showed a marked aversion at being accorded different treatment. It began when has a mere child of four protested forcefully against studying in a special school. Rather, he fought for admission in a regular school. After Six months of persistent struggle, and sitting outside the principal’s office, he persuaded the management of APEEJAY Higher secondary school Noida, to give him admission in the school. The school gave him a conditional admission of six months, partly to humour him and partly to check whether he would be able to withstand the rigours of a formal school. One day by a happy oversight he was supplied the question paper of the class higher than that he was in. He didn’t raise the issue but finished the paper quietly and secured the highest marks. Later the school management realized that he had cleared class II exams, when he was supposed to be clearing class I. They were delighted to have him in their school till he went back to Kashmir, his hometown to join Delhi Public School Srinagar. At DPS Srinagar he was one of the first students of the newly established Special Educational Needs (SEN) department for children with special needs. He quickly took to the school putting in all his frail might into adjusting to the school. through the corridors of the school, Qismat was seen developing a very special bond with his friends and companions. The teachers still recollect his fighting spirit that marked him throughout his school life. He was particularly fond of sports and reading at school, plunging into both activities with unflagging enthusiasm. Assisted by a scribe he spent his school years, learning to vent his thoughts and ideas. Mr. Shabir, who taught him reminisces, “He was no less than any other student in the class. He loved playing cricket with his friends and was often observed putting his imagination into words”. The school encouraged him at every step, and accorded him the honour of inaugurating the newly established computer lab in the school.